Book your vacation at one of the best Puerto Vallarta all inclusive resorts. 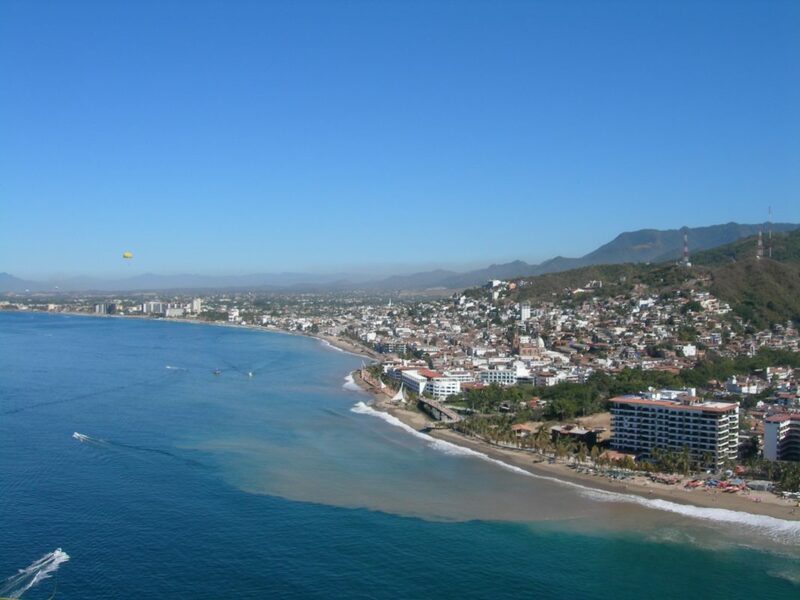 Puerto Vallarta remains a popular vacation destination, with the location’s gorgeous weather and stunning beaches. The Mexican resort town lets travelers unwind as they sunbathe or visit the area’s various restaurants and bars. This spot even has an exciting nightlife, as well as a number of unique shops and stores. While you may be excited to visit the beautiful Puerto Vallarta, you might not know where to stay. With so many wonderful accommodations to choose from, it can be difficult to find the right resort. 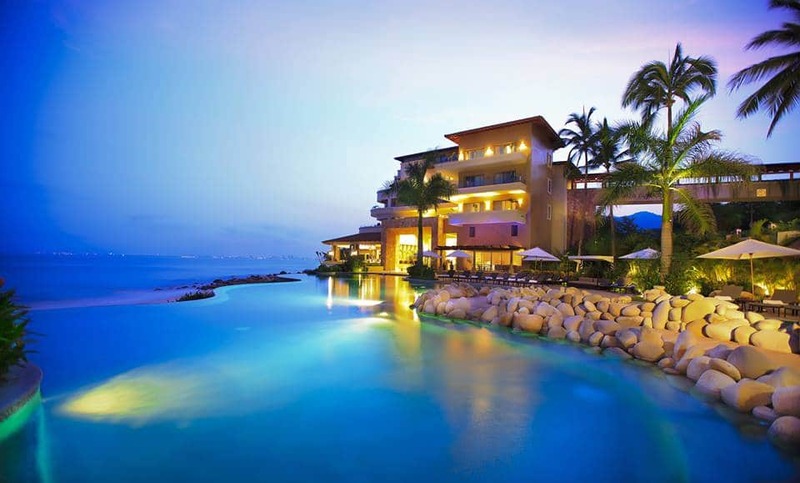 That’s why we’ve curated a list of the top Puerto Vallarta all inclusive resorts. 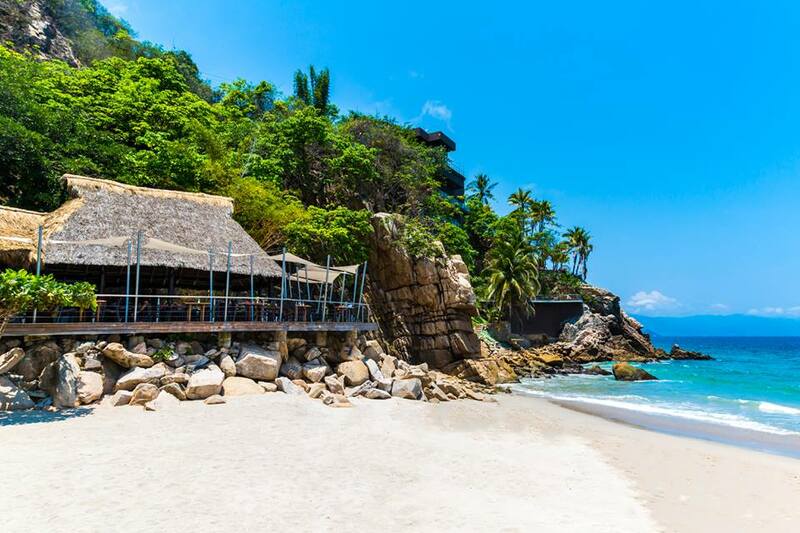 Check out our article below to learn all about the best places to stay in Puerto Vallarta. 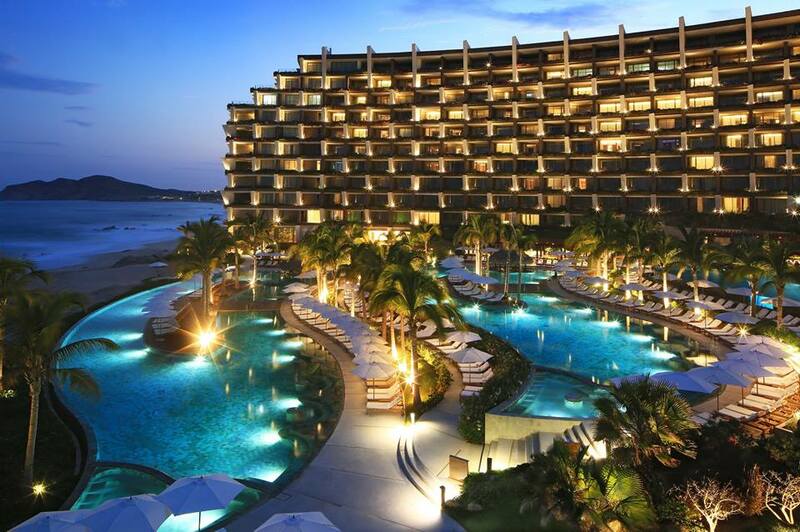 As one of the top Puerto Vallarta all inclusive resorts, Grand Velas offers guests numerous amenities and services. This accommodation contains almost 270 rooms, each complete with a minimum of 1,000 square feet of space. Inside the suites at Grand Velas, guests will find stunning Teak furniture from Brazil, massive LCD televisions, and private terraces. You could wake up in the morning and enjoy the views from your window by standing on your secluded terrace. Guests can choose to have views of the large pool or the sparkling ocean. This resort feels luxurious and awe-inspiring, with high ceilings and a soothing fountain found in the lobby. If you love to enjoy tasty meals during your travels, you’ll appreciate the five gourmet on-site restaurants. Travelers won’t have to travel outside the resort in order to eat delicious food multiple times per day. 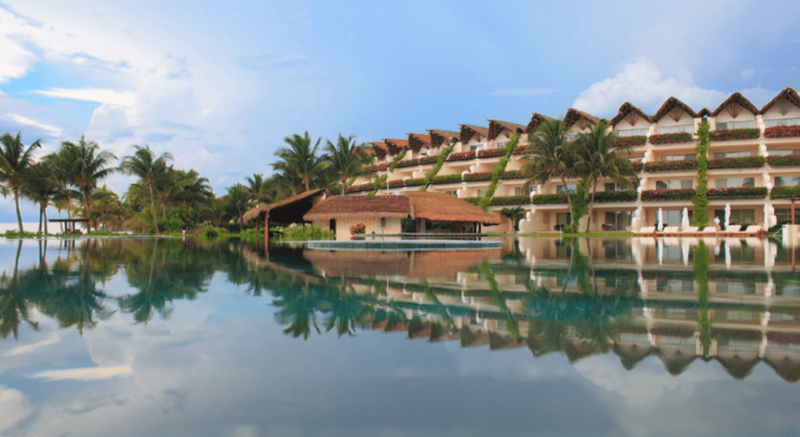 Additionally, Grand Velas has a spa that offers a variety of rejuvenating treatments. While these treatments don’t come included with your all inclusive plan, they remain especially relaxing and worth the price. If you want to maintain privacy while you’re vacationing, consider booking a room at Garza Blanca Resort and Spa. This example of the best Puerto Vallarta all inclusive resorts remains secluded from the busier parts of the town. Situated around ten miles from the downtown Puerto Vallarta area, Garza Blanca provides travelers with peace from the busy city. Beyond the resort’s secluded location, the accommodation also feels like a paradise thanks to its lush grounds. The foliage and sections of vegetation make the resort appear soothing and gorgeous. Travelers who love the beach will appreciate the sandy regions in front of the accommodation. You could lay down on the sand and enjoy the sun for hours at a time. Any guests who need to unwind from the stresses of daily life should head to the resort spa. Guests can receive treatments like aromatherapy massages or take a warm dip in a jacuzzi. The suites here also remain ideal for enjoying the ocean views, with hammocks situated atop the suite terraces. At Casa Velas, travelers can enjoy a truly rejuvenating vacation experience. Couples searching for a romantic getaway in Mexico may especially like this resort. Casa Velas, one of the top Puerto Vallarta all inclusive resorts, appears gorgeous and offers guests true privacy. The central building at this resort looks like a traditional Spanish estate, resembling a stunning historic structure. Landscaping surrounding the area appears lush and green, providing a stunning view while on grounds. 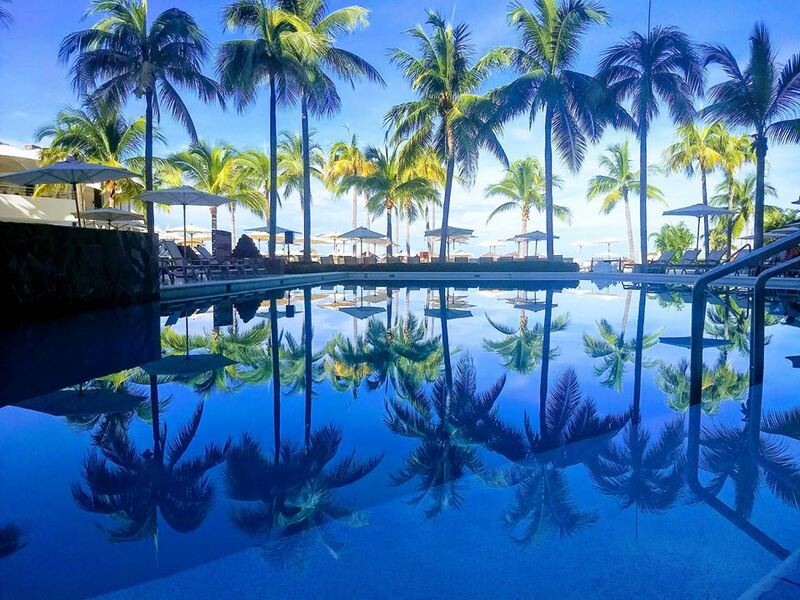 An infinity pool at the Ocean Club remains the ideal place to go for a dip and cool off. Each of the resort’s suites contain sumptuous furniture and soothing, sophisticated décor. Down comforters, mini bars, and top-notch bath products allow guests to feel like royalty in their rooms. The Grand Class Suites include even more amenities, like a private terrace and pool. When you get hungry, you can head to one of the resort’s two on-site restaurants. Both traditional Mexican cuisine as well as dishes inspired by Asian food remain offered at the dining spots. Those who want to have an adults-only vacation experience should book a stay at Hotel Mousai. This means that families should look elsewhere when searching for Puerto Vallarta all inclusive resorts. As part of this resort’s all inclusive offerings, guests will receive unlimited alcoholic beverages and meals at the on-site restaurants. Guests who want some seclusion will appreciate Hotel Mousai’s private beach. You could walk out from your room and lay out in the sand in a flash. Travelers who like to remain active during their vacation can partake in games of tennis, squash, or basketball. After working up a sweat, you could visit the hotel’s Spa Imagine and receive a soothing massage. The rooftop infinity pool even offers guests with the chance to enjoy the view while swimming a few laps. Rooms here remain luxurious, containing walk-in rain showers and Jacuzzi tubs on private terraces. You could also relax on the hammock on your outdoor terrace with the suite’s included iPad or a book. This beachfront, all inclusive resort lets guests party all day long when they come to Puerto Vallarta. Gorgeous ocean views remain a huge perk of this resort, as you’ll get to appreciate nature from the accommodation. Found in the stunning Sierra Madre mountains, Grand Fiesta Americana feels secluded from the rest of the town. Travelers who love to spend time outdoors will enjoy the natural environment that exists here. However, you’ll still be just a 15-minute ride away from the Romantic Zone in Puerto Vallarta. Visitors to this example of the top Puerto Vallarta all inclusive resorts can swim in the stunning Bahia de Banderas. 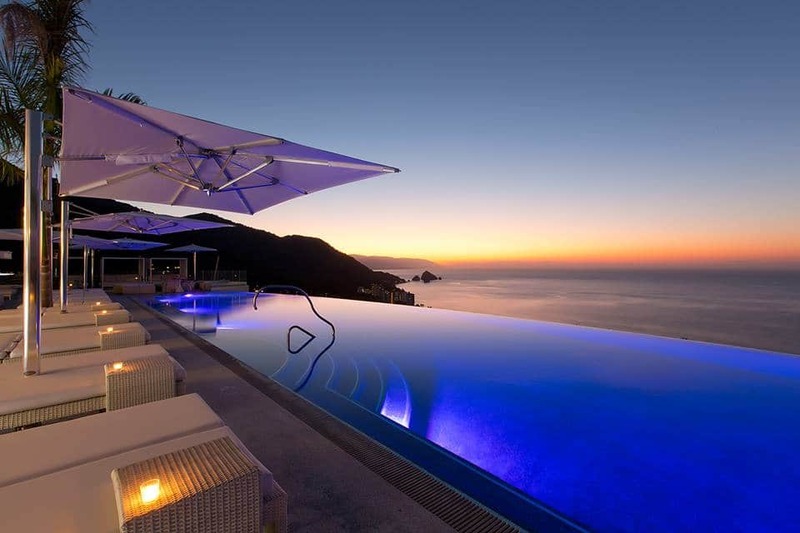 You could also go for a dip in the infinity pool located at the accommodation. Lounge bars offer delicious cocktails that taste refreshing on a hot Mexico day. Those who want to explore the outdoors environment could embark on a kayak tour. The Haixa spa remains a top location to rejuvenate and relax, as guests can receive a variety of treatments. Once you grow hungry, head to the fine-dining spots located here for a delicious bite to eat. The most exciting Puerto Vallarta all inclusive resorts offer guests with a host of amenities and services. Those who want to spend time on a gorgeous beach should book a room here. Las Estacas, the private beach at the Hyatt Ziva, remains enveloped by stunning cliffs. Guests can lay out on the sand and feel lulled by the sound of the rushing ocean waves. Depending on the room you choose, you could even enjoy a view of the ocean from your balcony. Travelers who consider themselves foodies will definitely appreciate the variety of dining choices available here. Additionally, the rooms here contain sophisticated features, like white marble bathrooms and the opportunity for direct pool access. You can visit eleven different restaurants, bars, and lounges in order to find your ideal bite to eat. Since the Puerto Vallarta International Airport remains just 30 minutes away, arriving at this resort would be a breeze. 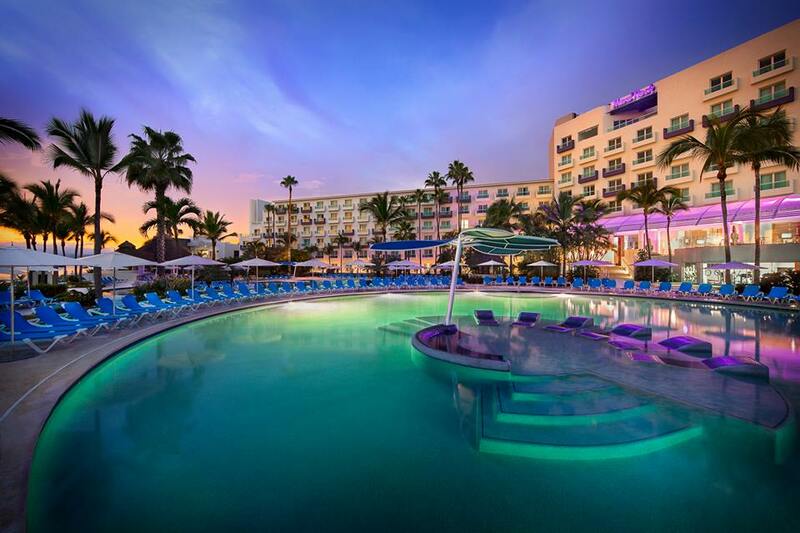 If you’re searching for the best Puerto Vallarta all inclusive resorts, consider the Hard Rock Hotel Vallarta. Music-loving travelers will definitely want to think about booking a room at this accommodation. Nightly concerts and live music contribute to an incredibly exciting vacation experience when you stay here. If you want to plan an amazing wedding or enjoy a birthday celebration, this resort has the ideal venues. Event spaces include ballrooms and areas for meetings as well as conventions. You could even plan a party on the beach. The Hard Rock Hotel Vallarta remains the perfect accommodation for travelers interested in staying active throughout their trip. Lush golf courses present the opportunity for guests to practice their swing. You could embark on a deep-sea fishing adventure or explore underwater worlds by scuba diving. If you want to stay on land, you might choose to go sailing, kayaking, or play beach volleyball. After you’ve grown exhausted, you can head to your luxury suite with water views and colonial Mexican furnishings. As one of the best Puerta Vallarta all inclusive resorts, Villa La Estancia remains a top accommodation on our list. Here, guests can appreciate the lovely stretch of beach that this resort stands along. If you don’t want to be nearby the shops and restaurants of the town, this might be your ideal resort. However, those who do want to go shopping or visit the downtown area can easily take a taxi. As part of the all inclusive amenities offered, travelers may enjoy meals from the two on-site restaurants. If you want to hang out by the pool all day, this resort has the perfect spot to do so. The resort contains a two-tier pool with waterfalls as well as a swim-up pool bar. Those hoping to have a rejuvenating experience might want to book a few services at the spa. Treatments available at the spa include massages, facials, body scrubs, and beauty services. Travelers may also appreciate the complementary water sports equipment, such as kayaks and paddleboards. Now Amber Puerto Vallarta has earned a reputation as one of the top Puerta Vallarta all inclusive resorts. With its modern and sleek aesthetic, the accommodation appears clean and soothing to travelers. The all inclusive package at this resort pays for the rooms as well as meals and drinks. If you love to eat delicious meals while on vacation, you’ll truly enjoy this resort. The accommodation contains five bars and lounges as well as seven eateries. This means every traveler will get the chance to discover their new favorite meal when they stay at this resort. Beyond the available dining spots, the resort also provides guests with numerous opportunities to stay active. Whether you want to play on land or on the water, Now Amber has the perfect activity for you. Guests can go boogie boarding or snorkeling, depending on how adventurous they want to be. Those who want to find inner peace can also partake in a yoga session. Families of travelers may appreciate the activities for kids, such as movies on the beach. The resort even has a lounge for teens to hang out together. 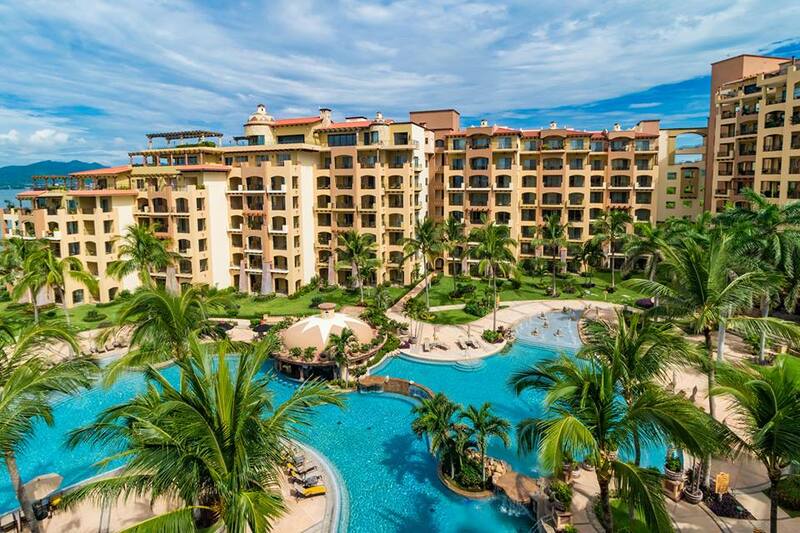 When you book a room at Marival Residences, you’ll experience true luxury while in Puerto Vallarta. 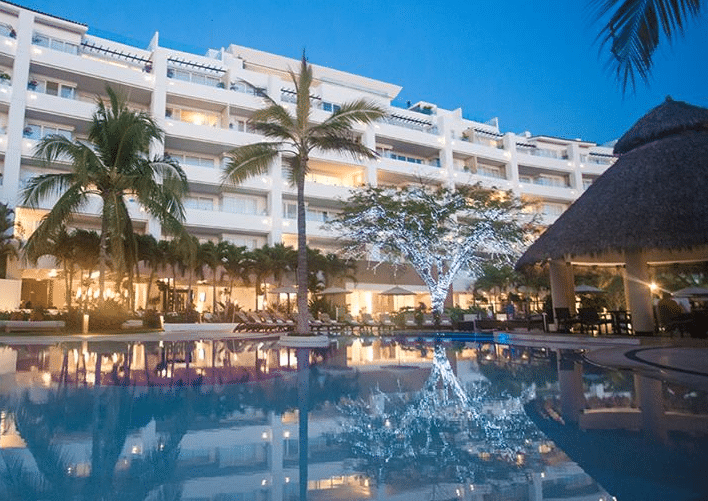 This accommodation, one of the top Puerto Vallarta all inclusive resorts, offers a number of top-notch amenities to its guests. If you want personalized service during your vacation, consider booking a room at this resort. The employees at Marival answer to every guest’s request, so they never feel neglected. From custom cocktails at the resort bar to food ordered by the poolside, you’ll never have to lift a finger. Travelers with an interest in playing golf may consider this a great place to practice their swing. With the all inclusive plan, guests can enjoy unlimited green fees at the golf courses nearby. Guests may try meals at the resort’s numerous restaurants and never have to leave grounds to satisfy their hunger. A variety of room sizes also remain available here, from single suites to four-bedroom villas. Plan a vacation to one of the best Puerto Vallarta all inclusive resorts. When you’re trying to plan a trip somewhere, booking the right accommodation can prove challenging. A popular vacation destination like Puerto Vallarta contains many resorts and hotels, causing uncertainties about booking the right rooms. From luxury locations to family-friendly spots, Puerto Vallarta has a hotel for every kind of traveler. 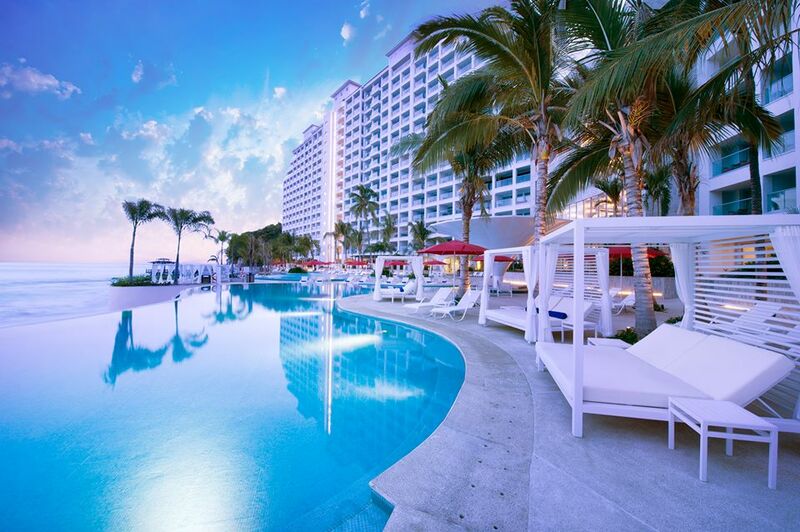 Hopefully, our list of the top Puerto Vallarta all inclusive resorts inspires you to book a Mexican vacation. You’ll never want to leave the stunning beach town after you’ve spent a week or two there.